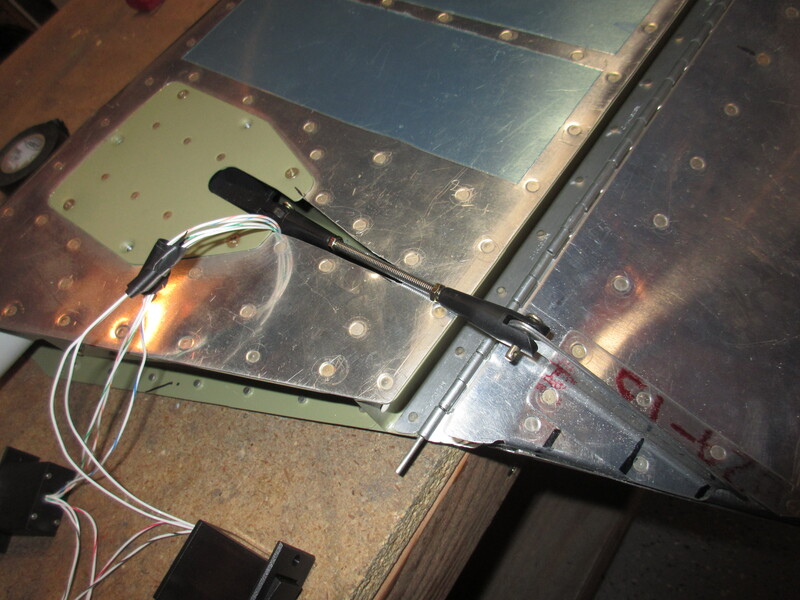 Since my rudder trailing edge is still curing, I decided to work on the last remaining task left on the empennage: Mounting the trim tab servo. I started out the work tonight by wiring up the servo, its indicator and switch to my 12V bench power supply to test its function and make sure it was in the neutral / take-off position. I have a pretty good background with low voltage and electronics, so this was pretty fun for me. After a little fiddling, I managed to get the servo working, and the indicator showing its true position. I made sure it was in the neutral spot before un-wiring the servo to install it in the elevator. Here’s a video of it on the bench. I mounted the servo to it brackets on the E-616-PP plate, and then inserted it in the left elevator so that I could cut the jack screw to the proper length. The kit ships with a 7″ jack screw, which is WAY longer than you need. 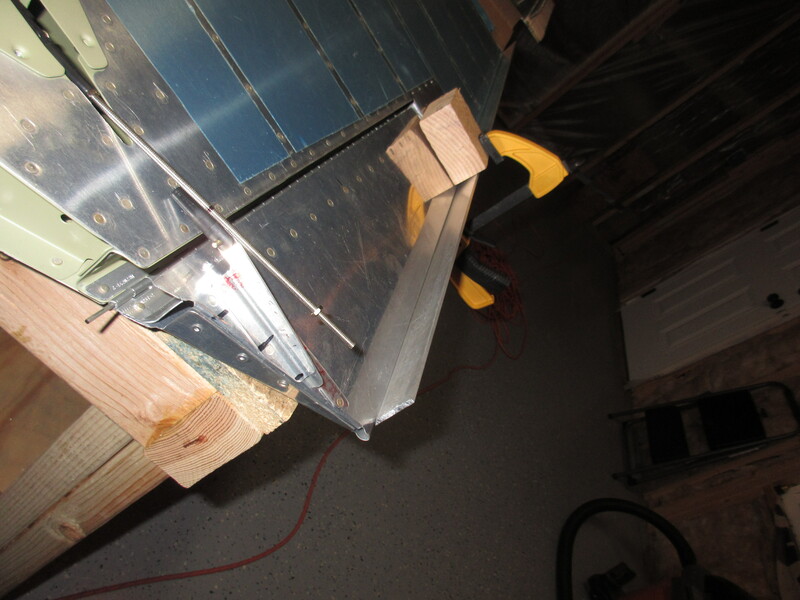 I made sure my trim tab was in complete alignment and in trail with the elevator by using a long peice of angle stock, a block of wood and a small clamp with very light pressure. 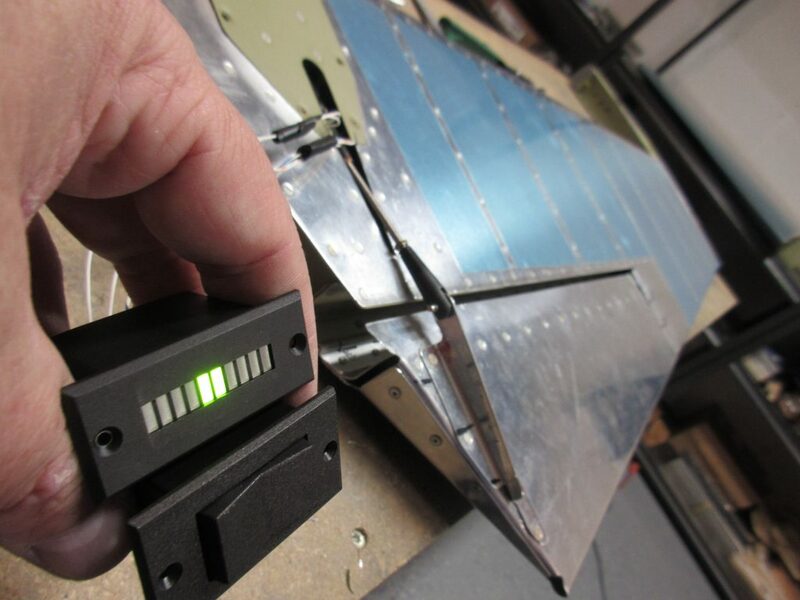 Now that the trim tab was lined up in the take-off / neutral position, it matched the position of the trim tab servo. You can see in the photo above just how long the jack screw is. 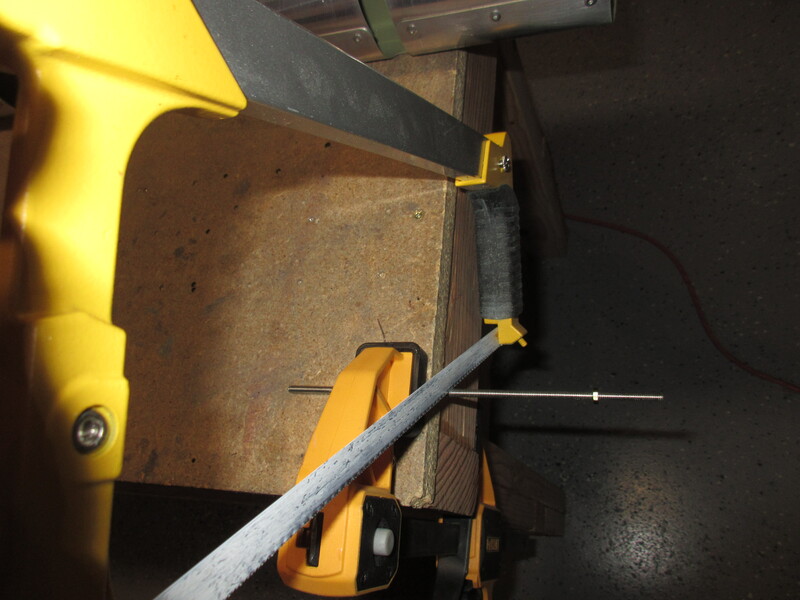 I used a ruler to measure from the middle of the clevis pin attachments on both the trim tab and the servo and came up with just about 3.5″ inches in length. I used a hacksaw with a metal cutting blade, and a clamped the jack screw to my bench and made the cut. After I cleaned up the threads on the cut end, I threaded the jack screw into the clevis pin attachments and adjusted the length so that it aligned perfectly. Now I have my measurement, I use the jam nuts to lock the clevis pin attachments into place so I could continue working. I then re-wired the servo so I could move it across its entire range and mark where I needed to trim the skin. Van’s mentions in the plans, that its OK to trim the elevator skin to allow for proper clearance of the jack screw. I had to trim a decent amount to keep the jack screw from contacting. I used a combination of tin snips, files and scotchbrite pads to get it roughed into shape. Tagged Trim Tab. Bookmark the permalink.